Lemmings are a natural part of nail blogging. 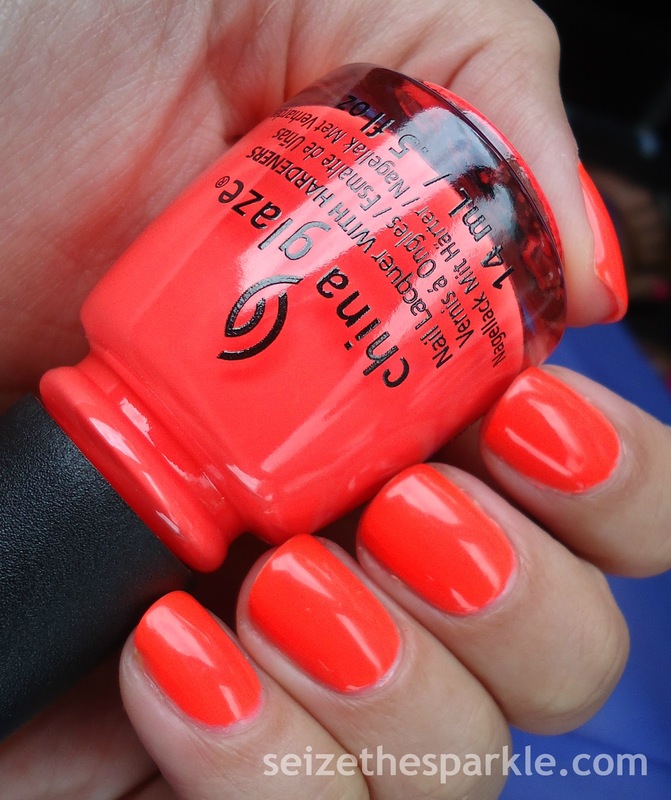 You see someone post a polish, you fall in love, it must be yours. 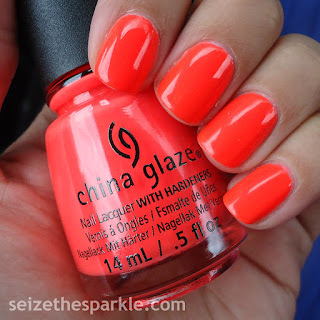 Red-y to Rave by China Glaze is one of those polishes. I'm seriously soooo glad I saw photos of this shade and decided it was worth hunting down! 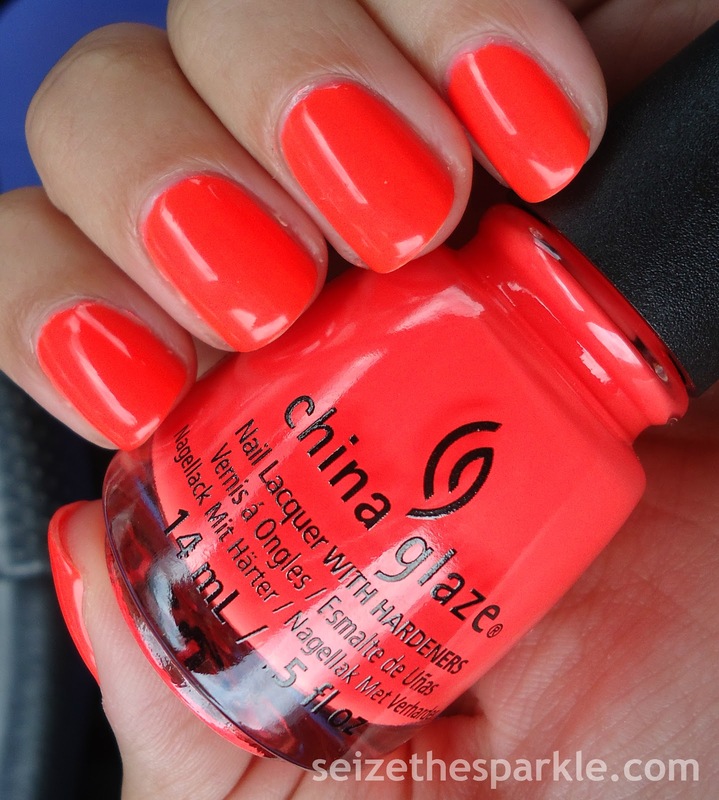 This blazingly bright polish is another neon from China Glaze's Electric Nights Collection. 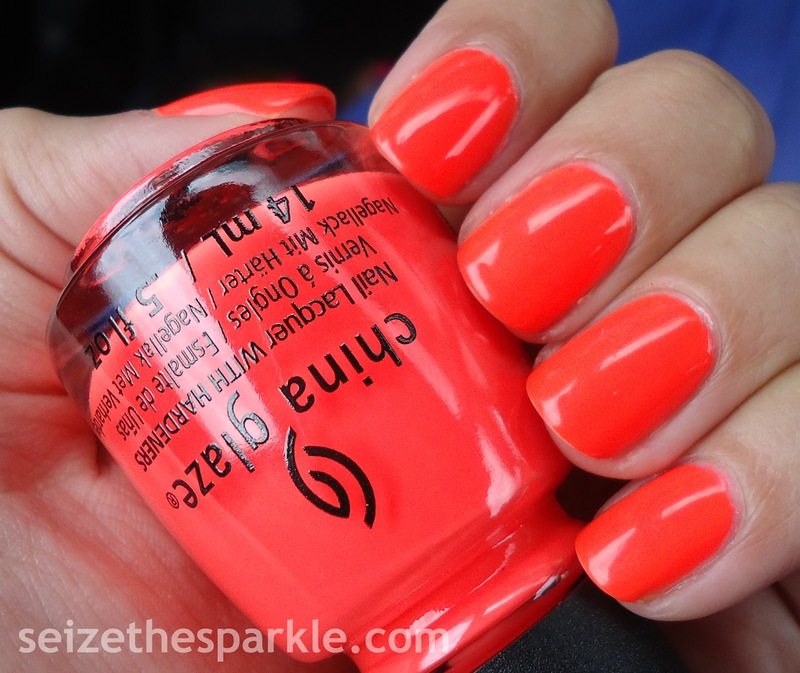 It's also a reminder that if I'm on the fence about a bright/neon polish, I should just pull the plug and get it. This was the last bottle of Red-y to Rave on the Electric Nights display at Ulta. I was prepared to order it online, but I'd much rather buy polish in the store if I can swing it! But back to the brightness! Red-y to Rave is the neon red polish of this collection, and it definitely does nawt disappoint. Inside, it's really bright, outside, it's a little blinding! Even my camera had to do some adjusting each time this polish came across the lens! 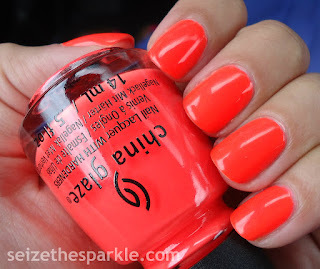 And then there's the formula... just as easy as all the other neon polishes from this collection. I probably could've gotten away with just 2 coats, but I forgot to wrap my tips, so three coats and then off to dreamland! As much as I do really love this color, the creative side of me is itching to do another super sparkly Seriotype. It's been sooooo long since I've done one!